For the salaried class, HR reminders to submit tax-saving proofs often lead to a last-minute rush to review what all can be done to get maximum tax deductions. As for the self-employed, exercise begins when their chartered accountants remind them of the last-minute window. 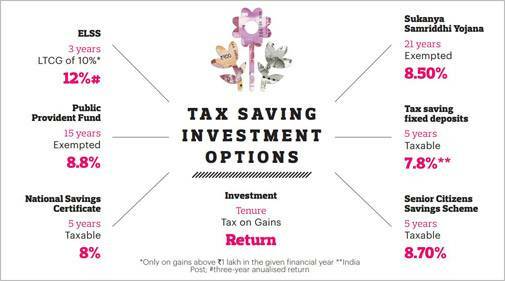 Here is a quick look at some of the best tax-saving investment plans which can cut down your tax outflow. Tax-saving mutual funds: Tax saving-funds, also known as equity-linked saving schemes (ELSS), provide tax benefits under Section 80C. Also, as an asset class, ELSS has delivered 12 per cent returns over the past three years as on January 31, as per ValueResearch. "For an investor seeking capital appreciation along with tax benefits, ELSS could be one of the best tax-saving options despite the introduction of long-term capital gains (LTCG) tax," says Nitin Shanbaug, Senior Group Vice President, Investment Products, Motilal Oswal Private Wealth Management. However, LTCG applies to gains above `1 lakh in a financial year, but if you decide to invest for the long term, post-tax returns are likely to be higher than most of the fixed-income instruments. These schemes have a lock-in period of three years - the shortest among all tax-saving instruments - but it is advisable to align them with long-term goals. "This will help you beat market volatility and ensure superior returns," says Tarun Birani, Founder and CEO of Mumbai-based TBNG Capital Advisors. Go for a systematic investment plan, or SIP, but remember that the lock-in will apply to every SIP you make. It means you need to wait for four years before withdrawing the entire amount invested during a single financial year. Only those with a good risk appetite should opt for these and stay put for at least five years. Public provident fund: After a gap of one year and a half, the PPF interest rate has again hit the sentimental mark of eight per cent. PPF falls under the EEE (exempt-exempt-exempt) category, which means there is tax deduction advantage under Section 80C at the time of investment and no tax is levied during accumulation and withdrawal. It is a good choice for those who are looking at guaranteed returns and willing to stay invested for the long term. Also, for self-employed and non-salaried people who do not contribute to the provident fund, PPF can be a long-term tax-saving option as it provides the benefit of compounding. Sukanya Samriddhi Yojana: This scheme has been introduced to ensure a better future for the girl child and falls under the EEE tax regime. Under this scheme, a parent with a daughter aged below 10 can invest a minimum `250 or a maximum `1.5 lakh during a financial year, for a maximum period of 14 years from the date of opening the account in the girl's name. The account can be closed 21 years after you have opened it, and partial withdrawals are allowed for education and marriage purpose after the girl is 18. It is offering 8.5 per cent for the quarter ending March 2019. National Savings Certificate: Another tax-saving option that qualifies for Section 80C deduction and offers guaranteed returns. The interest earned is compounded annually but is reinvested and paid out on maturity after five years. The entire accumulation will be taxed on withdrawal as per the tax slab of the individual. Currently, it is offering eight per cent interest. Senior Citizen Savings Scheme: This is a popular product for senior citizens, with a quarterly interest payout option. 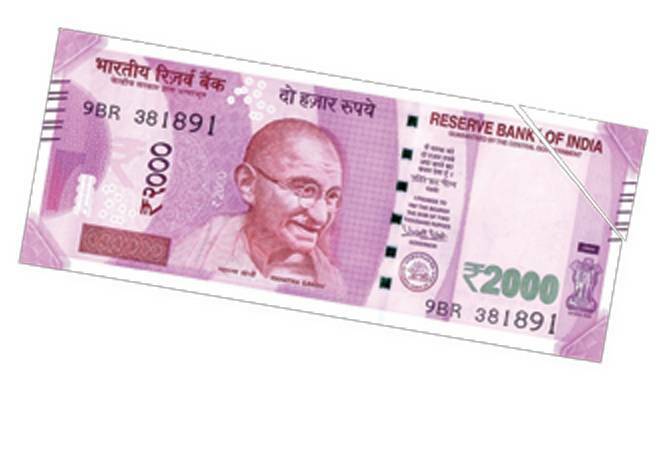 The scheme generally offers a higher interest rate than fixed deposits. "The interest is taxable, though, but with the rise in exemption limit for interest income from `10,000 to `50,000 in the last Budget (for senior citizens only), the SCSS has become more attractive. Plus, you lock in the interest rate available today for the next five years, which lessens the uncertainty about returns for the next five years," says Lovaii Navlakhi, Chief Executive and Managing Director of Bengaluru-based financial advisory International Money Matters. Tax-saving fixed deposits: Last-minute tax-savers and senior citizens generally prefer these. They have a five-year lock-in period and can be started in banks and post offices. "The interest received is taxable. So, if someone is in the 5 per cent tax bracket, he/she can opt for FDs, but for those under higher tax slabs brackets, post-tax returns will not be attractive," says Navlakhi. Unit-linked insurance plans: After several regulatory changes over the past decade and a significant reduction in cost, ULIPs, as a combination of insurance and wealth generation, are gaining traction. "They have a significant advantage over ELSS as maturity proceeds are tax-free under Section 10 (10D) of the Income Tax Act," says Anand Pejawar, President of Operations (IT and International Business) at SBI Life Insurance. Pension plans: As equities are known to deliver higher returns over the long term, it makes sense to go for these plans and secure your retirement. "To fund your retirement via equity and save taxes on the way can be done if you invest in equity-oriented mutual funds, National Pension Scheme (NPS) and pension funds. A combination of at least two of these is a good mix," says Archit Gupta, Founder and CEO ClearTax, an online tax consultancy and investment platform. National Pension Scheme: NPS, with the option of equity exposure and low charges, is emerging as one of the popular retirement investing tools. Besides investment benefits, it also helps you save taxes in a big way. "The maximum deduction you can claim under Section 80CCD (1) is 10 per cent of basic salary, but no more than the Section (80C) limit. For the self-employed, this limit is 20 per cent of the gross income," says Gupta. "Plus, you can claim any additional self-contribution (up to `50,000) under Section 80CCD (1B)." People opting for this scheme have to buy an annuity using 40 per cent of the maturity amount and can withdraw the remaining 60 per cent. "The recent changes in NPS taxation making the withdrawal of 60 per cent corpus on maturity completely tax-free has put it on a par with schemes such as PPF," says Rahul Jain, Head of Personal Wealth Advisory at Edelweiss. Deferred annuity plan: Life insurance companies offer this to ensure a regular retirement income, and you also get benefits under Section 80C. "Unlike an immediate annuity where annual/monthly payment starts immediately, an investor can delay the payment to match his/her requirement (ideally, post-retirement). ULIP is an example of deferred annuity plan," says Pejawar of SBI Life Insurance. Pension funds from MFs: Mutual fund houses also offer pension funds where you can invest to build your retirement kitty. Any investment in this fund also qualifies for Section 80C deduction benefits. "The choice of retirement funds offered by MFs is limited, though. In my view, an investor's retirement portfolio should be a healthy mix of diversified equity funds, including ELSS, ULIPs, NPS, PPF and EPF," says Jain of Edelweiss.